On Jan. 30, from 11:30 a.m. until 5 p.m., ASFA’s advocacy committee will be tabling in the Hall building’s Mezzanine area. There, students will be able to pick up menstrual hygiene products for free, including pads, tampons, and menstrual cups. Photo by Kelsey Litwin. At its last meeting on Jan. 12, the council of the Arts and Science Federation of Association agreed to adopt a budget allocated towards making tampons, pads, and menstrual cups more accessible on campus. The motion was put forward by ASFA’s advocacy committee chairperson, Julia Sutera Sardo, who will be responsible for purchasing the products. “There’s a really huge stigma around menstruation and I think it should be dissipated as soon as possible,” she explained. The money will come from the budget of ASFA’s advocacy committee. So far $1,500 of it will go towards purchasing products for tabling at both the downtown and Loyola campuses. Some of those sanitary products purchased will also be kept in their ASFA office. The other $500 will be put aside for the future. On Jan. 30, from 11:30 a.m. until 5 p.m., ASFA’s advocacy committee will be tabling in the Hall building’s Mezzanine area. There, students will be able to pick up menstrual hygiene products for free, including pads, tampons, and menstrual cups. “We’ll be offering a diversity of products which is really great cause we have a diversity of people at this university,” said Sutera Sardo. Products will be available to all students, regardless of their gender identity. Going forward, ASFA will have the responsibility of purchasing menstrual hygiene products yearly. A second day of tabling will take place in front of the SP building at the Loyola campus, but the date for when it’ll happen is yet to be determined. The initiative will be advertised through posters and an online campaign, and products will be split evenly between the two campuses. Sutera Sardo hopes the plan will “make the whole ordeal of having a period a lot easier.” She added that menstrual hygiene products are costly, and that making them available to students for free is important. “While we cater to arts and science students, I think anyone should have access to feminine hygiene products,” she explained. Sutera Sardo plans to motion for an extra $2,000 from ASFA at their council meeting next month. If approved, the money will be allocated to purchase more pads, tampons, and menstrual cups for ASFA’s member association offices. If the motion is passed, the $2000 will be taken from ASFA’s general budget. Sutera Sardo has also been working with the Concordia Student Union in a hope to get free tampons and pads in all washrooms, including the female, male and gender neutral washrooms. She plans to present that plan for approval at their upcoming council meetings. “The reason why feminine hygiene products are not available in gendered bathrooms, the male bathrooms, is something that will be discussed at CSU where I can actually do something about it,” she explained. 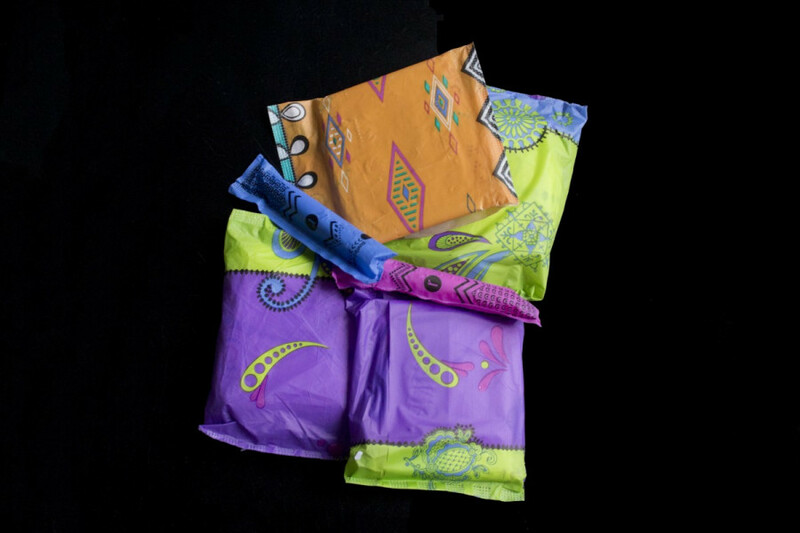 While Sutera Sardo acknowledges that menstrual hygiene products are currently available at health services, she believes that many students wouldn’t think of going to any, as they aren’t conveniently located.